Fazal Ilahi Chaudhry was born in a Gujjar family in Marala village, near the city of Kharian, district Gujrat in Punjab province on January 1, 1904. He received his early education from his hometown and went to Aligarh University and later Punjab University from where he got a law degree, and went into practicing law. He did his M. A. in Political Science in 1925 and took his degree of Law from the University of Punjab in 1927. After completing his education, he went back to Gujrat and started practicing Law. He took part in the election of Gujrat District Board and was elected unopposed. He joined the Muslim League in 1942. In 1945, he was elected from Gujrat as the President of Muslim League. He took part in the 1946 elections on Muslim League's ticket and played an important role in propagating the ideas of the Muslim League among the people of his area. Upon the independence of Pakistan, Chaudhry got involved in the new government, moving up to high ranking positions in the National Assembly. After Independence, he was given the post of Parliamentary Secretary. He was later appointed Minister for Education and Health. In 1951, he contested the elections of the Punjab Legislative Assembly on the Muslim League ticket and was elected as a member of the Punjab Assembly. In 1952, he represented Pakistan in the United Nations. In the 1956 elections, he was elected as member of the West Pakistan Assembly. Chaudhry was its Speaker from May 20, 1956 � October 7, 1958. In 1962, when Ayub Khan announced the elections, he was selected as the Deputy Opposition Leader of the House on the basis of his experience and knowledge about parliamentary proceedings. Chaudhry joined the Convention Muslim League, and after the 1956 elections, he was elected as the Deputy Speaker of the National Assembly. He was elected as member of the National Assembly in 1970 on the ticket of the Pakistan People�s Party and was later elected as the Speaker of the National Assembly. He ended up joining the Pakistan People�s Party and was made President in 1973, when the head of the PPP, Zulfiqar Ali Bhutto was made Prime Minister. Chaudhry was largely a figurehead, and was the first President with less power than the Prime Minister. This was due to the new constitution of 1973 that gave power to the Prime Minister; previously, the President had been the chief leader of Pakistan and had the power to appoint Prime Minister. Fazal Ilahi Chaudhry remained President until 1978, when he resigned after the military took control of the government under General Muhammad Zia-ul-Haq. General Zia respected Chaudhry and came to visit him on his deathbed. 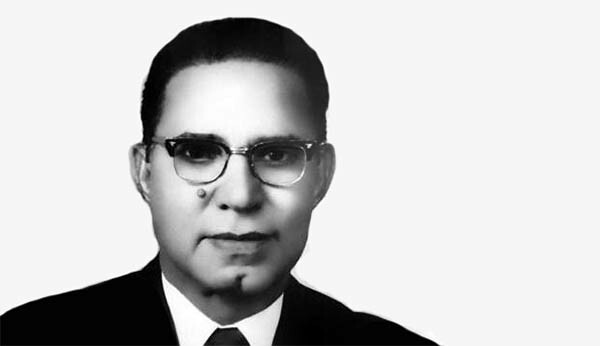 Chaudhry Fazal Ilahi died on June 2, 1982.